The Triumph TR6 was a small roadster introduced by those crazy Brits in Coventry in 1969 to replace the TR5/TR250 which was really just a slight change to the TR4...etc etc. The TR6 did last thru 1976 when it was replaced with the wedge shaped and unloved TR7 and it was always powered by a decently powerful inline-6...until today. 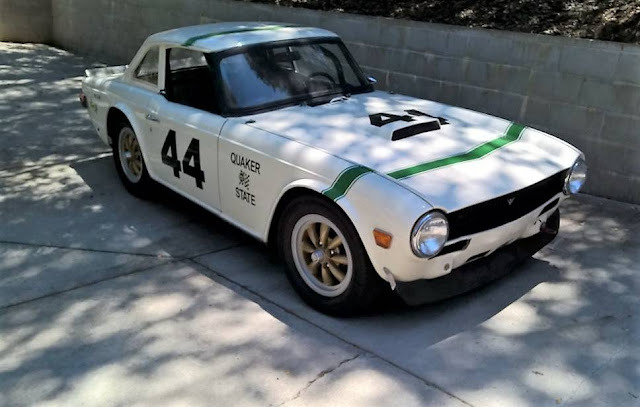 Find this 1973 Triumph TR6 V8 offered for $12,500 in Julian, CA via craigslist. Tip from Rock On! Julian is a sleepy little mountain town a few minutes east of San Diego -- and I can't imagine a better car for terrorizing the twisty roads than a Triumph TR6 with an injection of 'Merican Ford 289 V8 power. It even has a racing seat, American Racing mag wheels, 5-speed manual -- this can rocks! 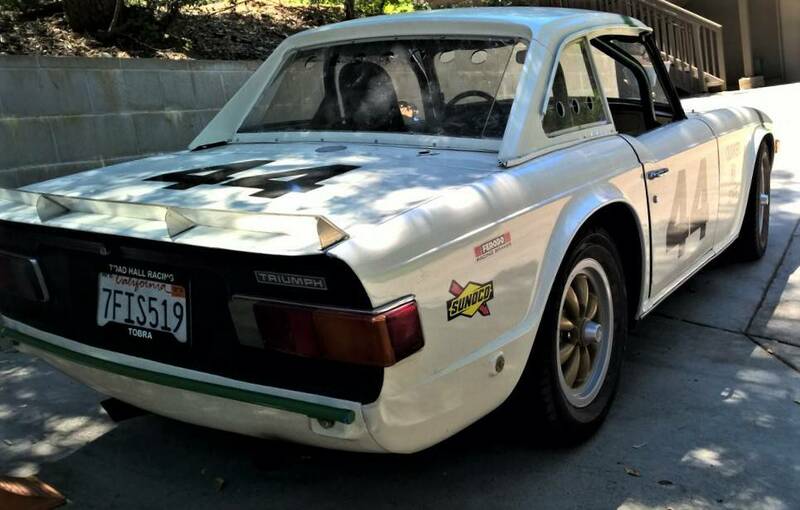 The seller claims: [t]he performance is outstanding, better than a Sunbeam Tiger. Passed Tech Inspection at Willow Springs. All it needs to go back to the track is a Halon Extinguisher. 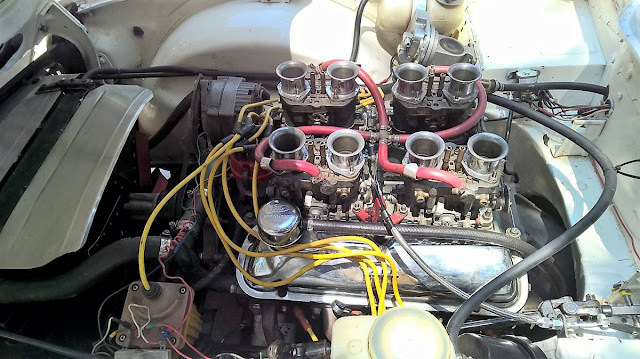 Thought the same thing but couldn't figure out which part was wrong, the year or the engine size. Even if he meant '68 that wouldn't work. I think Ford may have had some left over 289s from 67 with 68 being a gray area for production as most 68 Models had the new 302s. Woodie Man,perhaps you could take it for a quick test drive down the Sunrise Highway dodging weekend traffic, sending back video and narration for all to enjoy? Hun.......I hate to say this but I would rather take your '65 Buick wagon!LoL. But you have a point. There's plenty of twisties on Sunrise or the back way from Julian to Mt. Laguna. It would be fun. Tobra... no Tribra (now with more support!) or Cobrumph!